MAKE AN OFFER! 2+ ACRE, CANAL FRONT PROPERTY IN GATED ISLAND COMMUNITY of ''Big Pine Island'' - Lots of potential here!! Two-story home nestled in a beautiful wooded setting! If you're a NATURE LOVER, who loves FISHING, BOATING, AND THE OUTDOORS, THIS IS YOUR OASIS! Close to all the conveniences of 441/466 in Lady Lake and The Villages Community(r)! The home's lower level is unfinished with an inside laundry room, bathroom, and potential for additional bedroom/living space. Call for details on Well & Septic. Sold As-Is. Cash Only. Roof Replaced - approximately 5 yrs ago. COME SEE THIS GREAT OPPORTUNITY!! 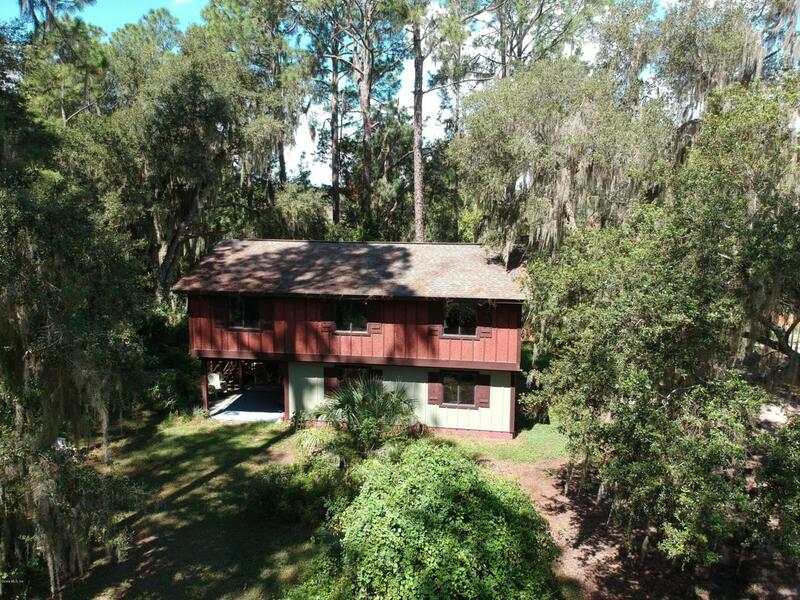 Listing provided courtesy of Michael Aretakis of Foxfire Realty - Hwy 441.